Arthroscopy is a minimally invasive surgical procedure that podiatrists often use to treat a variety of problems in the ankle joint. In ankle arthroscopy, a slim fiber-optic camera, or arthroscope, is inserted into the body to allow for the inspection of the ankle joint and its surrounding areas. Several small incisions are placed around the joint to allow for the introduction of the arthroscope as well as other pieces of equipment necessary for the treatment of the injury. The general goal of arthroscopy is to reduce pain and improve function. 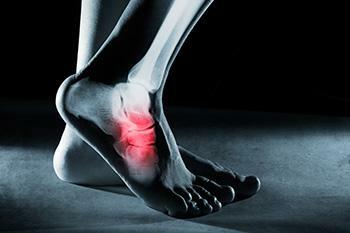 Arthroscopy can be used to diagnose and treat a number of ankle conditions. These include ankle arthritis, ankle fractures, ankle instability, anterior and posterior ankle impingement, arthrofibrosis, infection, loose bodies, and synovitis. Arthroscopy allows for a minimally invasive way to perform ankle fusion, fracture repair, and to find and remove inflamed or scarred tissue and loose bodies. Following arthroscopy, some pain and swelling may be experienced. Depending on the type of surgery performed, patients may be able to walk on the leg immediately or may need to wait several days or weeks before placing weight on the leg. Your podiatrist will determine the best time for you to return to your feet.